This adapter is designed to fit H2OtoGro bin style hydroponic systems. This adapter uses your systems garden hose adapter/drain and nutrient fill hole for operation and is very easy to install. 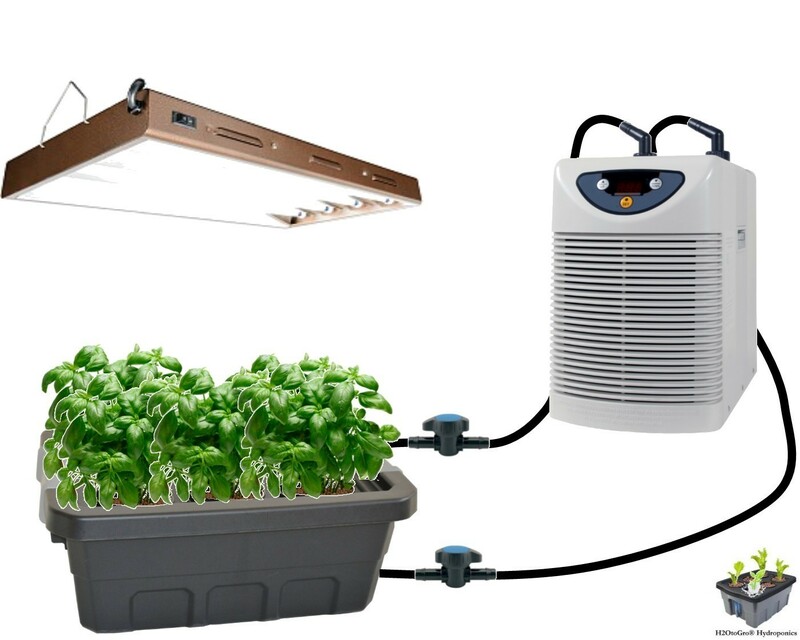 DOES NOT include hydroponic system, water pump, plants, chiller, or light. Recommended pump size: 250 gph submersible water pump but check your chillers instructions.